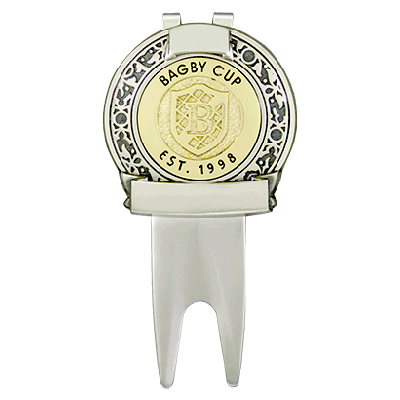 Bagby Cup 2pc Divot Tool. Light antique polished nickel top, with polished brass logo. Lower and upper banner engraved with names and date.